Gluu was founded in 2009 to address challenges posed by an increasingly complex and proprietary web single sign-on (SSO) market. The Gluu Server was envisioned as a utility, open source platform that would enable more organizations to deliver a secure authentication service. Today, the Gluu Server is used by universities, government agencies, and large enterprises around the world to securely identify people and manage access to resources. According to the 2017 Data Breach Investigations Report by Verizon, more than 80% of hacking-related breaches leveraged stolen and/or weak passwords. One of the best ways to protect your organization is to use a central authentication platform like the Gluu Server--the fewer places you store passwords and authenticate users, the easier it is to enforce strong security. The Gluu Server will empower your organization to improve security, reduce user friction, and more quickly roll out value added products and services to your communities. Once web and mobile applications are leveraging your Gluu Server for user login, you can significantly improve security by enforcing strong authentication. With the Gluu Server and the YubiKey, your people will be protected from phishing, malware, and man-in-the-middle attacks while maintaining secure and seamless single sign-on (SSO) access to resources across your digital kingdom. 3. Enable YubiKey for easy-to-use and high security authentication! 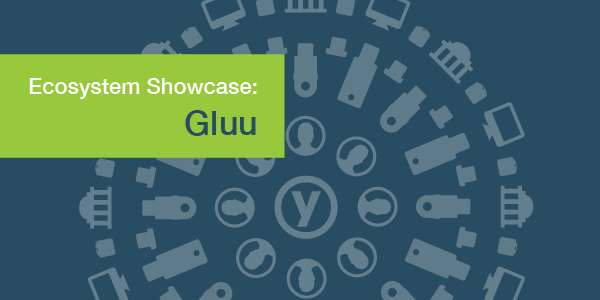 Yubico is proud to highlight Gluu as part of an ongoing YubiKey ecosystem awareness program. Visit our Featured Solutions page to learn more about all the products and services that support YubiKeys.